With its lively and warm atmosphere, Biscotti is the ideal venue for a quick bite and a great coffee. This modern Italian Cafe offers all the traditional, gourmet Italian delicacies including; freshly prepared pizzas and paninis, exquisite pastries and delectable light bites. 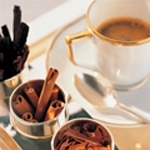 It also offers an extensive range of Italian beverages, that are sure to please.